Patients at Whitaker Wellness and my Health & Healing subscribers ask me a lot of questions regarding the use of nutritional supplements. 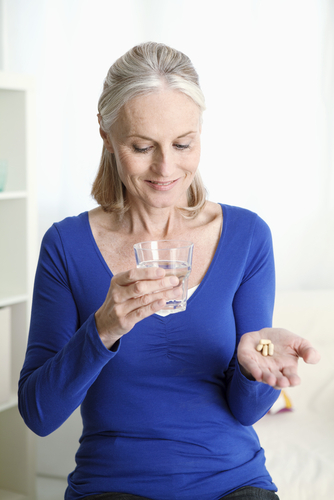 What’s the best time to take nutritional supplements? What do you recommend for treating heart disease, lowering cholesterol, alleviating arthritis, and improving other health conditions? Can multivitamins help with detox? Are nutritional supplements safe? The list goes on and on. In this blog post, I want to focus on a particular area: top supplements for seniors. Although the human body’s basic vitamin and mineral requirements remain more or less constant throughout life, we could all use some extra support in a few areas as we get older. That said, here are my core nutritional supplement recommendations for the 65+ crowd. First on my list of supplements for seniors is vitamin D. In addition to strengthening bones, vitamin D supplements have been shown to improve muscle strength and balance in older people. Other proven benefits include better immune function, blood sugar metabolism, colon health, and cognitive performance. Suggested dose: 2,000–5,000 IU per day, aiming for a vitamin D blood level of 50–80 ng/mL. Another top supplement for seniors is fish oil. Most everyone is interested in improving their memory—and if they don’t have problems now, they want to stave them off in the future. That’s one reason why I’m so keen on omega-3–rich fish oil. DHA, which is abundant in the brain, helps prevent age-related brain shrinkage and maintain mental function, plus EPA boosts cardiovascular health and reduces risk of heart problems and strokes. The suggested dose is 900-1,000 mg of total EPA/DHA. Ratios vary from product to product. If your focus is cardiovascular, choose a blend higher in EPA. For more cognitive support, look for a higher level of DHA. Next on my list of supplements for seniors is B-vitamins. This family of vitamins plays a plethora of crucial roles, but none is more significant than energy, brain and nervous system support, and arterial health. Folic acid, B6, and B12 all help control homocysteine, a risk factor for cardiovascular disease, dementia, and other degenerative conditions. Supplementing with B12 is particularly important because our ability to absorb this vitamin from food declines with age. Suggested doses: B12 150–400 mcg (preferably the more active methylcobalamin form), B6 75 mg, and folic acid 800 mcg. When it comes to supplements for seniors—and everyone, regardless of age or health status—a high-quality multivitamin is a must. Your foundation needs to be a multivitamin and mineral supplement with therapeutic—not RDA—levels of a broad range of vitamins and minerals. Multivitamins help ward off a number of preventable health concerns, can reverse easily correctable nutritional deficiencies, and in a meta-analysis of 10 randomized, placebo-controlled trials, daily use of multivitamins even demonstrated improvements in short-term memory! If you are 65 or older, I implore you to start using these recommended supplements for seniors. Your good health depends on it. These nutritional supplements are widely available in health food stores and online. To order the brands we use at the clinic, call (800) 810-6655. The nutritional supplements listed above are my core recommended supplements for seniors. If you have additional health concerns, don’t fret. Natural solutions are available. I always recommend drug-free alternatives whenever possible. They are safe, effective, and free from the many side effects of prescription drugs are notorious for. To read more about using nutritional supplements to treat—and even reverse—common health concerns, use this link. You’ll also learn about the many noninvasive therapies we use at Whitaker Wellness to restore patients’ optimal health and vitality.